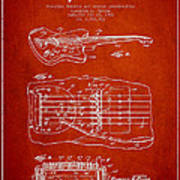 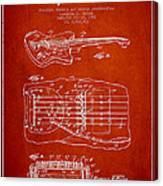 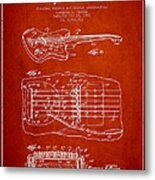 There are no comments for Fender Floating Tremolo Patent Drawing From 1961 - Red. Click here to post the first comment. 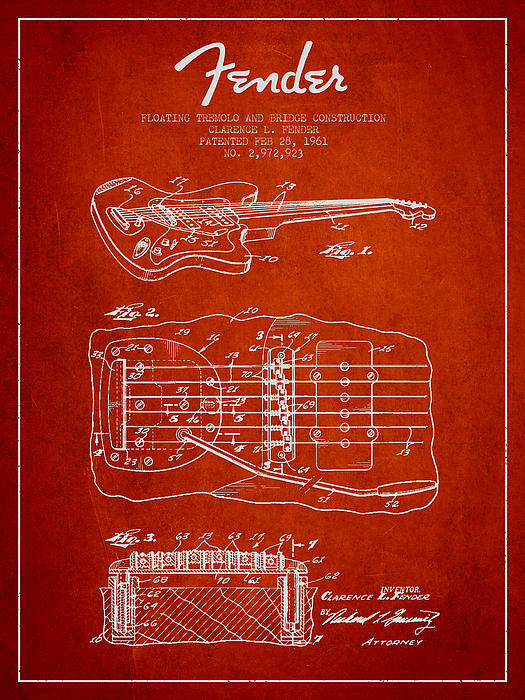 A vintage Fender Floating tremolo and bridge construction for lute-type musical instruments patent drawing from 1961 on Red grunge background.